US Bruce Springsteen and The E Street Band perform, on May 13, 2012 in Sevilla. Rock legend Bruce Springsteen said in a recent interview that he thinks President Donald Trump can win a second term, saying that Democrats have no “obvious, effective” candidate to beat him in 2020. 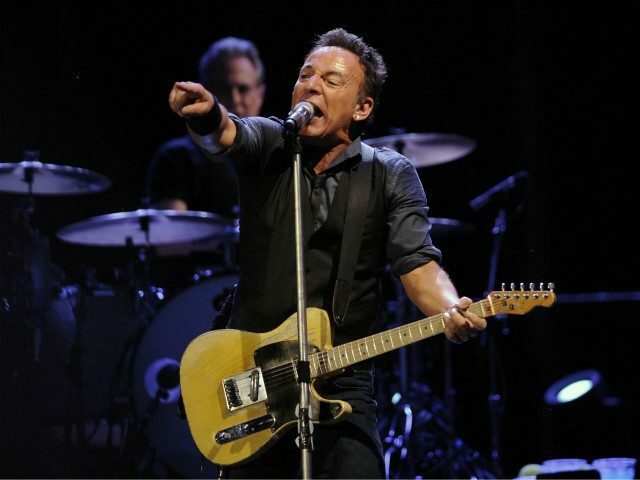 “I don’t see anyone out there at the moment… the man who can beat Trump, or the woman who can beat Trump,” Bruce Springsteen said in an interview with The Sudnay Times. “You need someone who can speak some of the same language [as Trump] … and the Democrats don’t have an obvious, effective presidential candidate,” he said. You had severe blows to working people in the 1970s and 1980s as all the steel mills shut down. Then you had an explosion of information technology. These are life-changing, upsetting occurrences. You can find yourself in a country that you may not feel part of, or you feel that your [concerns are] being dismissed. So [you’ve had] an enormous amount of insecurity and instability. Add to that, someone comes in and plays on your racial anxieties, and blames an enormous amount of this on the ‘other’ from the southern side of the border, and you’re going to have an audience for those views. I basically think that [the problem] is the incredibly rapid pace of change that’s occurred in the United States that’s gone unaddressed by both administrations, Democrat and Republican. However, Springsteen also expressed skepticism that tariffs might not work to get jobs back into the United States. The “Born to Run” singer, who campaigned for Barack Obama, has not hesitated to rip President Trump. In an interview published this week, Springsteen accused President Trump of committing a “crime against humanity” by “dividing” Americans. Earlier this year, the 69-year-old said that America was undergoing a “battle for the soul” of America. “Folks trying to normalize hate, calling upon the most divisive, ugliest ghosts of our past. I hope we’re just going through a terrible chapter in the battle for the soul of our nation,” he said during a Broadway show.